Recently we have been outlining some of the largest witch trials throughout history, from the Spanish Inquisition in the 15th Century to the Salem Witch Trials at the end of the 17th Century. Most notably, we have mentioned the Basque Witch Trials in Spain, transpiring from 1609 to 1611 A.D., and the Wurzburg and Bamberg Witch Trials in what is now Germany, occurring in the 1620’s. However, prior to any of these trials came the largest series of witch trials throughout human history – the Trier Witch Trials. The Spanish Inquisition had begun in 1481 through a tribunal established by King Ferdinand and Queen Isabella. For the first few decades, though there was still persecution, many administrative and organizational matters needed to be sorted out, and therefore few trials occurred during this time period. Once this was figured out, and the Inquisition was well under way, the Authorities charged with the expulsion of non-Catholics dedicated their time to exiling Jews and Moslems, who they initially blamed for all political problems. Then, starting in the 1570’s, the Inquisitors turned their attention towards those they believed were Devil Worshippers, or in other words, those suspected of participating in any sort of Occultist Practice. Unlike the famine and ongoing war going on in Bamberg in the 1620’s, the 1570’s was a relatively peaceful decade. It seemed if anybody who had a problem with the times was looking for one. And one man was indeed. In 1581, a dedicated Catholic by the name Johann von Schönenberg was appointed by the Catholic Church as archbishop to a state called Trier, located in what is now the border between West Germany and Luxembourg. Von Schoenberg was unwavering in his religious beliefs and the key of these beliefs was that following the ways of Catholic Orthodoxy was the one and only path to salvation. Without any serious conflict, some individuals within Trier would ask Schoenberg’s advice about a matter of issues – that their year’s yield was not as fruitful as the year before, that a neighbor was not following the correct religious guidelines, or that a married couple was having difficulty in conception. While today, these would seem to be run-of-the-mill issues that any religious leader, or any person who offers his advice would come across, to Schoenberg, this was a prime opportunity to root out those who did not share his Path to Spirituality. Accordingly, he blamed these problems on Practitioners. For a twelve-year period, immediately following his initiation in 1581 until 1593, Schoenberg conducted an extensive Witch Hunt, following the guidelines of Heinrich Kramer’s guide, Malleus Maleficarum, though the city of Trier and all of the outlying villages within the state. Despite Kramer’s stipulation that witches were primarily female, Schoenberg and his men disregarded this and arrested every man, child, and woman that they suspected was a witch. Once arrested, the accused were taken to a prison and afforded no rights. All they could do was await judgment – by Schoenberg’s appointed judge. In these twelve years, nearly everybody who was accused was executed. Unlike at Bamberg, where I suppose the legal system was slightly more ‘developed’ to at least execute an individual who confessed to a crime, the Trials at Trier had no such process. All in all, at least 368 individuals were burnt alive, including a couple notable enlightened individuals who met the same end simply for protesting Schoenberg’s practices. Some scholars have estimated the number of executions to be closer to 1,000, but there is very little evidence to prove this one way or another. 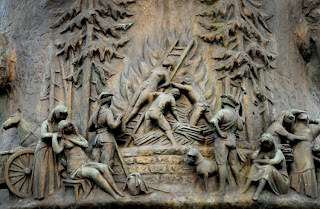 The Trier Witch Trials are considered one of the largest because of area covered, as well as the death toll. But it also is influential in that it made way for later witch trials. Individuals were able to acquire wealth by accusing individuals of sorcery and thus stealing their property, and this lead many others to do the same. As these motives were solely for wealth, we ask the same question – do you think that history will ever repeat itself? Of the different trials we have discussed, does one stick out more to you than the others? Why? We would love to hear your comments and answer your questions! 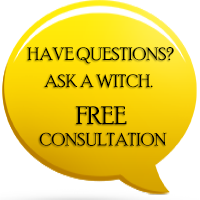 Please feel free to share your thoughts on our Facebook page at: http://www.facebook.com/7witchescoven.